Sharjah: Gas suppliers and distributors will face tough action if found to have violated safety rules and regulations, top civil defence officials said. With gas smuggling cases on the rise lately — an estimated 1,000 cylinders are illegally transported daily — Colonel Sami Khamis Al Naqbi, director general of Sharjah Civil Defence, said tough action will be taken against each violator because of the risk it poses to lives. He said as many as 2,862 gas cylinders, which were either expired or had violated standards, have been seized since the beginning of 2018. 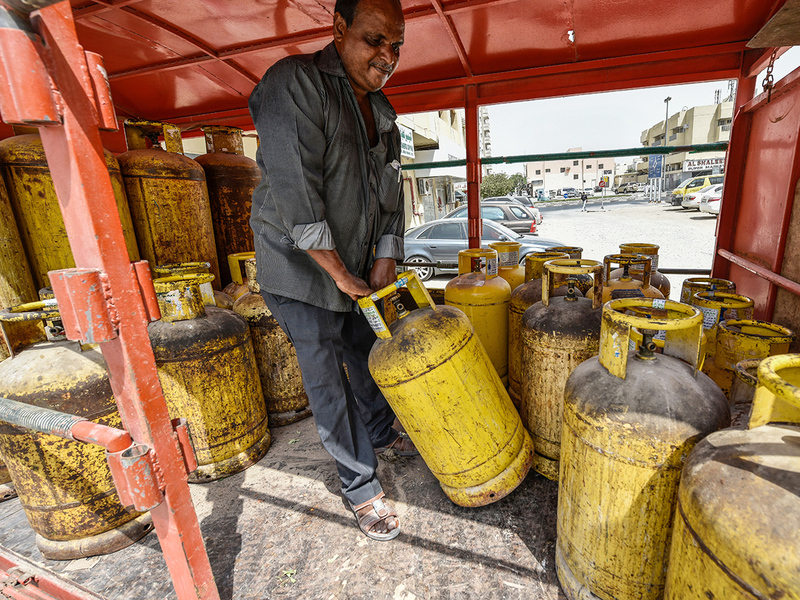 Most instances of smuggling were reported from Ajman to Sharjah, where distributors illegally sold cylinders to owners of restaurants and facilities not covered by the gas network at cheaper rates and less capacity. Owners of gas-filling companies in Sharjah said they are working with concerned authorities to check the smuggling of cylinders. They said the average life of a gas cylinder spans 15 years, after which gas filling companies are obliged to change them for free without any commission for the safety of end users. While distribution agencies blame gas-filling companies for failing to dump expired cylinders and replace them with new ones without extra cost, gas-filling companies maintain that distributors continue to supply consumers with outdated cylinders filled with Liquefied Petroleum Gas (LPG) illegally from outside the emirates. Consumers on their part also rarely check the expiry dates of gas cylinders before buying them from distributors. Major Abdul Rahman Al Mazmi, head of the industrial protection section at the Sharjah Civil Defence, said the department is currently working in coordination with the concerned authorities to prevent smuggling of gas cylinders by launching a full-fledged campaign. “The aim is to put an end to the use of expired cylinders and also smuggling incidents,” he said. Sharjah Civil Defence recently organised a dedicated forum on the new requirements for licensing gas suppliers, transportation and filling of cylinders, besides safety guidelines. Three gas filling companies and 43 distributors attended the meet. LPG (Liquefied Petroleum Gas) is a petroleum product consisting of a mixture of flammable hydrocarbon gas, mainly propane and butane. So using an expired cylinder in the kitchen can be as dangerous as keeping a time bomb that can explode any time. 1. Always buy your gas cylinder from an approved distributor. 2. When the cylinder is empty, call the same distributor to replace the old cylinder. 3. Look for the seal in a new cylinder. 4. Check if your cylinder is not damaged, dented or rusted. 5. To verify the expiry date of a gas cylinder, look for it on the stay plate. 6. Do not roll the cylinder from place to place. The valve should always face upwards. 7. Place the cylinder in a well-ventilated area and do not expose to sunlight. 8. if you smell gas, check for a leak. Never light a match to detect a leak, call the supplier. 9. Turn off the regulator or valve when leaving the house. 10. Do not connect more than one cylinder to one cooking appliance.